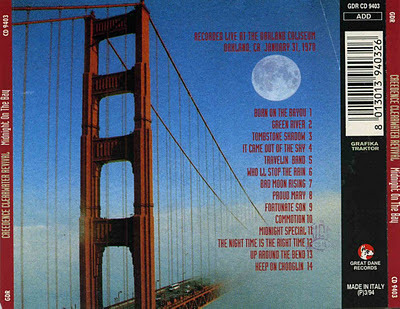 Recorded Live at Oakland Coliseum, Oakland, CA, USA - January 31, 1970. Files: 14. :: Size: 297 MB (flac). Personnel: John Fogerty – lead vocals, lead guitar, harmonica, keyboards, saxophone :: Tom Fogerty – rhythm guitar, backing vocals, piano :: Stu Cook – bass guitar, backing vocals, keyboards :: Doug Clifford – drums, percussion, backing vocals. Notes: This Is The Same Concert That Fantasy Records First Released As "The Royal Albert Hall Concert" In 1980 Due To The Tape Box Being Mislabeled. It's Actually The Oakland Coliseum Show From January 31, 1970. Once Fantasy Realized The Mistake They Withdrew The Album And Re-Released It As "The Concert". There Are Three Reasons To Get This Cd: First, It's One Of Their Greatest Performances. Second, It Sounds Better Than Others Release, And Third, It Doesn't Have The Annoying Fades Between Songs. It's The Complete Show As It Was Performed That Night. Sound Quality Is A-1 Soundboard.<-(Info taken from Beatledood55 - bootlegzone). Track 4 is 'Don't Look Now' and not 'It Came out of the Sky' but sounds great anyway, thanks. So,I wish,Please Up a Led Zeppelin's bootleg by flac. 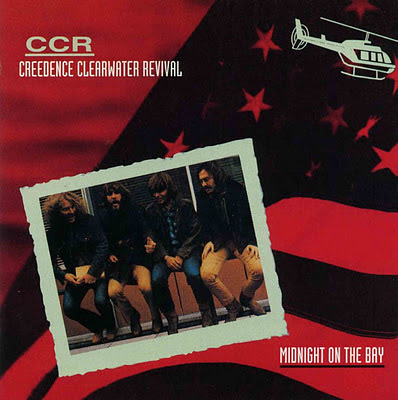 "Geisha, Smoke Gets In Your Eyes (Landing 1971 40th Anniversary) (Tarantura - Stage Audience Recording)"
Best sounding CCR live show...The official Europe `72 double live lp release pales in comparison..